There are many different types of sushi (which literally means “vinegar rice”), of which maki sushi (“roll sushi”) is the easiest to make- a California Roll is a popular, American type of maki sushi- and sashimi, which is simply a slice of raw fish, can be deceptively difficult (and is not true sushi). Futomaki sushi (“fat roll”), usually uses ¾ to a full sheet of nori and is larger than a normal roll. Ura maki sushi (“inside out roll”) a popular American style of maki with the rice on the outside. California roll is usually made this way. Nigiri sushi, or just nigiri, is a slice of fish on top of a hand-formed oblong clump of sushi rice. Nigiri is often referred to as “sushi”, which is not technically correct- nigiri is a type of sushi. Sashimi (“pierced body”) is simply a slice of raw fish, of very high quality and ideally killed through the Ike jime process, which involves a quick kill that is both more humane and preserves the quality of the flesh. Kosher Sushi presents some unique challenges, due to Jewish dietary restrictions, which excludes shellfish and any fish that does not have both fins and scales. Eel, shrimp, crab are among the popular sushi fish that are not available in kosher sushi. Interestingly, the “mock crab” which is used in California rolls, does actually contain crab extract so a kosher version is available which does not, a boon to both kosher consumers and those with shellfish allergies! You may see the word “sushi” written as “suchi” or“zushi”- while the first is simply a spelling mistake, the second is actually correct in certain instances: under a complex Japanese grammar rule called rendaku the “s” sound can be changed to a “z”. Some well-known sushi restaurants are Sakura Sushi (NJ),Sumo Sushi (NY), Nori Sushi (NJ), Sakana Sushi (NJ), Sushi Nori, Hana Sushi (NY), Miyako Sushi (NY), Sushi Yama (NY), Haru (NY - Haru Sushi), Sushi Zushi (TX). They serve many different types of Sushi. Sushi By Simon will travel just about anywhere, but we specialize in the following areas: New York City, Nassau County, Westhampton Beach NY, and Bergen County NJ. To sum up, there are many types of sushi: maki sushi (ie Calfornia roll), nigiri, and sashimi are the most popular! 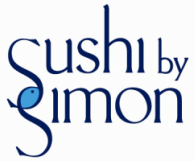 Sushi by Simon is a New York City Sushi Making Classcompany. Our main offerings include: private in home instruction by a NYC Sushi Chef with lessons on how to How To Make Sushi in NYC, and a selection of Sushi Gift Setsand baskets for friends and family.